I really need help with this! I am making large slabs 30x30 cm approx with decoration attatched so a 2D effect. I've dried slowly over a week and also used a clay meant to be resistant to cracking / warping. Just got two of them out of the kiln , disaster the pieces attatched to the slab have cracked up and ' jumped' away from where they were attatched. I'm under pressure now to get them done for a deadline . Any help to sort this problem much appreciated. Chances are the areas where you've attached pieces are too thick. You need to hollow them out before firing. As for fixing the current situation, you could glaze the pieces back into place, assuming they broke away cleanly. how you fired them. clays you're using, at what stage did you make the attachment? Maybe they are too thick? but not much thicker than the slab. 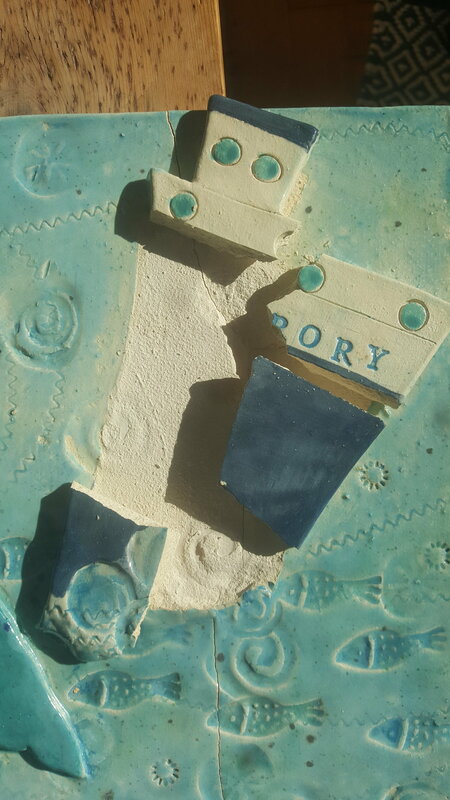 its not possible to fix with glaze as theyre broken into pieces and stuck onto a different part of the slab. I attatched when leather hard by score and slip and its a proffesional Scarva slightly grogged clay. If I hollow out presumably I would then have to make a hole in the back to prevent them exploding. Ill try and get a phot up here although I thought I had attatche done via my phone. I don't know anything about the slab problems, but this statement isn't true. Air doesn't cause explosions. Moisture does. As long as you have gave the pieces time to dry and start the firing slow below 200F for a decent duration it should be perfectly fine to be hollow. You don't have to have holes anywhere. Umm, it looks like you have more than that problem? Looks like the slab has a crack running thru it also. You mentioned a week to dry the piece, that seems very fast for a thickish piece. Did you hold the kiln under 200F / 95C for several hours or overnight before firing it to drive off any remaining moisture? What was your firing schedule? Also, I’m not seeing scoring marks on the blown away bit, did it separate where it was slipped and scored? I see the spiral impression that looks like it would have been under the attachments but no scoring. Did you score both the slab and the attachments? If the pieces that are stuck to the wrong places blew off then there must have been a lot of force to blow them off like that. Think that points to steam again. Have you thought of using silica sand under the tiles, it may be that the tile warped during firing and as it cracked it broke the deco off. Sand will help with allowing the tile to move with the heating process, just dont let it touch your heating elements. If you are worried about moisture involvement then just make a couple of small pin holes in the back at the thickest part (where the deco sits) which will be enough to allow steam to leave the clay body. Hope this helps and good luck <3. To reduce the thickness, you can poke a lot of pin holes from the back where there is thick clay and dry them raised on sticks. How thick was the slab/s and what was the thickness with the additions? Fire the slabs on 1/4" coils, lots of them to let the heat get all around. they can be broken, doesn't matter. get the piece up off the shelf. if you can save what you have using epoxy, then don't fire again. Never heard of professional Scarva. what is it? @eoteceramics I agree with both Min and tricetra. Your add ons to the slab weren't adequately attached. I also notice that the crack running through the whole piece has smooth-ish glaze on the edges of it. That means it happened as the kiln heated, probably a bit too quickly through quartz inversion. I think grog or sand underneath it would help with that, so that the piece can move more easily as it shrinks and expands through that stage. Also, firing more slowly than you did last time. I have found after several decades of working with large slab construction that sand is not as efficient as coils because the coils let the slab heat up more uniformly. sand insulates and prohibits moisture release. lots of coils allow movement and do not warp the slabs. POking holes from behind where there is think spots will allow for moisture to escape and assist in drying. Slow drying is still needed but pieces should dry more evenly if they are raised off the surface using sticks is a slotted patter for support. Thanks to everyone who has taken the trouble to help out with this. Im sort of self taught when it comes to the technical side of things which is why Im making mistakes. In response to your comments. I was always under the impression that air bubbles / trapped air causes explosions! thanks for the info that it doesnt. Yes your right I didnt score both sides, I'll take that on board, thank you. Yes Ive heard of using silica for underneath, Would I spread it evenly under the whole slab or as little even piles? I thought it was preferable to allow the air /heat to circulate under the slab, which is why I was using broken kiln shelf pieces as support. Ill introduce pin holes through the slab where the thick pieces are, thank you. I dont believe the slab is that thick it about 4mm and then approx 8mm where the deco is attatched. Your drying method is interesting, do you have a photo of the sticks to give me an idea. I havent heard of the coils before but will try and see if my supplier has them. You havent heard of Scarva because they are my usual suppliers based in Northern Ireland. They make their own glazes etc, Im based in the South. Typically how long would everyone give a slab to dry 30 x30 cm, 8mm thick at its thickest but mostly 4mm thick. If I used Marcias method of drying on sticks and wrapped in plastic? I have a Nabetherm kiln, I usually keep to the programme as its always been fine before but Ill try and work out how to reprogramme to slow down the drying at the start. 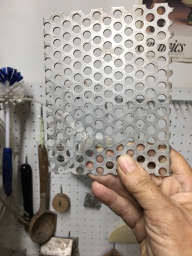 I extrude the coils through a steel mesh with 1/4" holes. I bisque them and keep bags of them in the kiln room . Vince Pitelka recommends these for under pots. 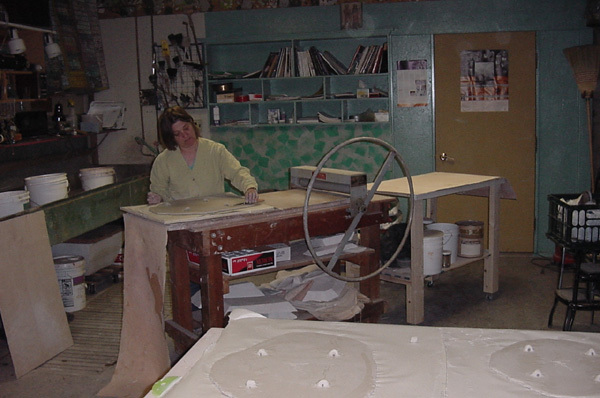 I applied them to larger sculpture pieces and my large slabs even when firing upright. Getting the pieces off the shelf and allowing shrinkage movement is very necessary for large pieces. The sticks are scrap wood. I will take some fast pics and post. For my flat tiles s( some are 24 " I dry on sheetrock for weeks when I was is Texas. Back in Montana , they dry faster, but I still take is slowly. I fire them upright. I have posted pics of all these over the years here. I don't think they are in my gallery. I have some pics from articles I've written for PMI. Maybe I can find them. The drying time here takes forever, its currently lashing rain!! I suppose I was putting them on that late stage to avoid deforming them when handling them. I will try a bit earlier. I probably do have a book however I find this site excellent for getting questions answered, so much Knowledge and experience. It never hurts, to be cautious, when drying clay wares. The process I use, and that I have my students use is; fully cover any ware, that had pieces added to it that day. That way the new joins, have a chance to bond well. 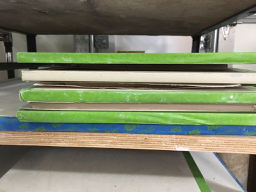 If a project is finished, they are partially covered (Bag loosely closed). After a few days of that, the projects are left fully uncovered. Once they feel air dried, many times I'll put a floor fan on them (at home) and in the classroom, I have the students set them on the air vent. In the warmer months, this doesn't aid in the drying much, as it's cold air coming from the vent. In the cooler months, when the heat is on, projects dry FAST. I hope these photos help. 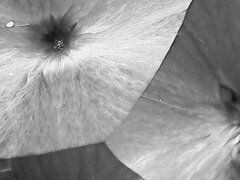 I took some photos this morning while I was working in the studio. I am on coffee break now. Here are some sticks under my plaster slabs to let them dry. For drying clay they would be much closer together. I use the steel section for extruding coils. I make them every few years. Bisque before using. I even use the coils when I stack my large slabs on edge for bisque firing. Last is how I dry small tiles...no built in hangers on these like on my big ones as shown in my old studio in Billings, mt. 2001. For the large slabs, I wax the edge and wrap my entire bakery rack with plastic loaded with slabs and let it dry for a week to 10 days. Montana is a dry place especially with a wood stove in the studio. I have electric radiant heat now, but it is still dry.That is my old slab roller. I got a bigger one about a year after that photo. Quartz inversion occurs at 1063F +\- the larger/ thicker the slab, the slower you go through this critical temp. I program a ramp of 100F an hour from 1000 to 1100F, just to make sure in this phase. Secondly, a little trick of the trade: mix 1/2 of your wet clay with one half of your glaze and make a slurry. Outline where the attachments go: rub the slurry into the face of the piece, and the back side of the attachment: then attach. 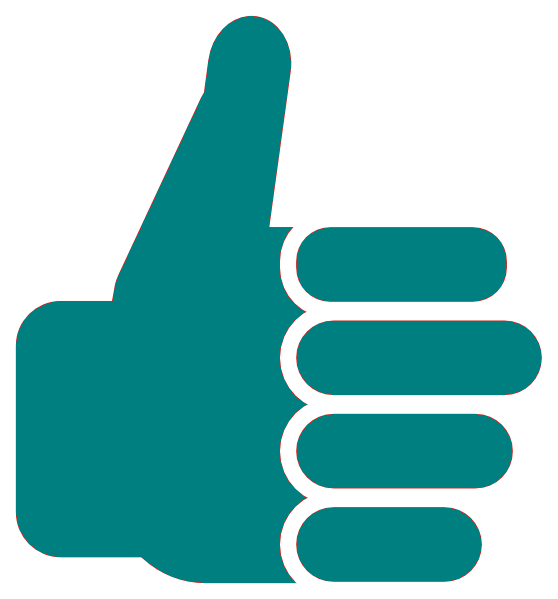 test practice: coat your finger with plain water and rub in a circular motion on a bone dry test tile. After a few passes, tap it with your finger. Does it feel slightly tacky? Does it feel like it wants to bond to your finger? If not, it does have enough regeneration of the clay to properly bond. 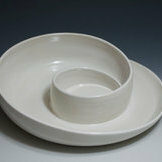 Porcelain requires less water to create a tacky feel, and stoneware requires more. note: you only need a tablespoon or so of the clay/ glaze slurry to do the job. No need to mix up bunches at a time. Marcia the photos make so much more sense now, for some mad reason I had a picture in my head of lots of vertical sticks supporting the slabs so thanks for posting. glazenerd great information Im off to the studio to try this, the things you learn on this site are amazing. @Marcia Selsor When putting pots/plates/slabs on the coils, do you lay the coils in a pattern? Or random? Am I over-thinking this? For Bird Bath columns I use a sun ray pattern. Under slabs standing straight up I use parallel every few inches, for tiles laying flat, sometimes parallel patterns but random has worked. I think as long as they can move with the shrinkage, it doesn't seem to matter. Under the foot of a large serving bowl, I use a pattern like a sun rays every inch or so. I use small 1" coils 1/4" diameter. All the coils are 1/4" diameter, varying lengths. Thanks @Marcia Selsor, that's about what I was visualising. I have done a lot of the sort of work you are attempting. In my case, nearly all commission work with hard deadlines. Lots of pots and/ or tiles with sprig (2D relief) work on them. So I know. Always pressed for time, seemingly. Racing to get things made, so they can dry as slowly, and as completely, as they need. 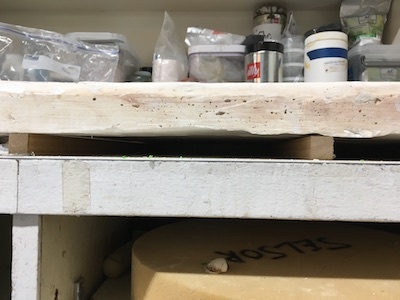 In this regard, I find myself throwing pots, or making tiles and then when they are barely stiff enough to be handled, pressing and pulling out the sprigs from the molds and applying them on to the pots, or tiles when everything is still quite wet. I use a wire brush and score both sprig bottom and ware body. I make two passes of scores, at right angles of each other. Dabbing a drop of water into the score on the ware, to displace air bubbles and to help further seal the bond, I will then place the sprig on. Then, this is important, I always wipe my fingers, quickly, and try to get them as dry as I can. I found that pressing the soft wet clay sprig on to the pot does very little deforming if the fingers I am using to press with are dry. Try it. As for thick sprigs, especially on pots that can’t have pin holes through their bodies, stabbing with a pin tool into the sides of the sprig, parallel to the plane of the tile, or pot, but not into the area of the scored bond, works great and allows it to out gas any residual moisture just fine. These deadlines, they are sometimes a beast! I have been known to sprig 40 pots in a sitting. Knock on wood, I have only had three sprigs ever come off and one blown off, and that out of thousands of pots and tiles. At the time, I noted that friends don’t let friends sprig at 3 am in the morning. I got sloppy and didn’t score with my usual care. Anyway, those particular pots were fired artfully tipped over enough to, I hoped, to keep the sprigs from sliding and I did succeed in fusing the sprigs back on in the glaze fire. And, I made deadline, got paid, and all is well. Best wishes that everything goes well for you and you make deadline. Its good to know, Im nervous about firing the tiles in fact theyre still drying. I dont want to risk firing too soon and have the disaster I had last time. Just a quick question, do you use silica sand under the tiles to allow movement. I got some recently and havent used before. Not sure do I put an evn layer under the tile or little piles.